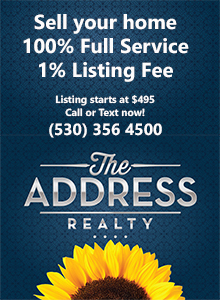 This entry was posted in Gold Hills, Redding and tagged Gold Hills, Golf, home for sale, homes, Redding, Shasta on April 4, 2018 by Skip@RHB. Terrific home in the Hacienda Heights neighborhood! Centrally located custom Santa Barbara style executive/luxury home! Classic Red Bluff home has lots of room inside and out. Note this is a dated blog post. Homes advertised here were available at the time the post was published. But like all homes for sale, it could be gone by the time you read this. Check the date. If it’s old, you can easily check on the current availability by calling or texting (530) 356 4500. Thanks!